Middle age has been defined as what happens when a person’s broad mind and narrow waist change places. 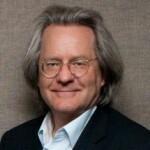 A. C. Grayling is a British philosopher. In 2011 he founded and became the first Master of New College of the Humanities, an independent undergraduate college in London. Until June 2011, he was Professor of Philosophy at Birkbeck, University of London, where he taught from 1991. He is also a supernumerary fellow of St Anne's College, Oxford.